Production underway on local FX drama, Mr Inbetween. FX Australia’s first local production, Mr Inbetween, has begun shooting in Sydney. The 6 x 30 minute drama is inspired by the 2005 feature film The Magician, created, written by and starring Scott Ryan. Ryan reprises his role as deadpan hit-man Ray Shoesmith, who navigates his chilling business while also maintaining friendships, parental responsibilities and a fledgling romance. He also serves as the series writer. The cast includes Brooke Satchwell (Jack Irish, Wonderland, Packed To The Rafters), Justin Rosniak (War Machine, Animal Kingdom, Underbelly), Edmund Lembke-Hogan (The Killing Fields, Anti-Adults), Nicholas Cassim (Wish You Were Here, Around The Block), Damon Herriman (No Activity, Justified, 100 Bloody Acres), Natalie Tran (YouTube) and features appearances from David Michôd (writer/director The Rover, Animal Kingdom, War Machine), Firass Dirani (House Husbands, Underbelly), Benedict Hardie (Hacksaw Ridge, The Light Between Oceans) and Matt Nable (Bikie Wars, Jasper Jones) amongst others. 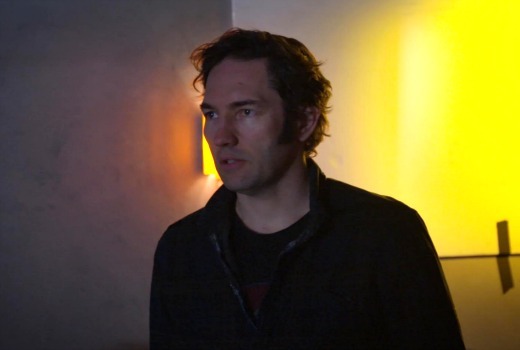 Produced by Michele Bennett and executive produced by Jason Burrows, Nash Edgerton (pictured) and Scott Ryan, it is a collaboration between Jungle (Here Come the Habibs, The Moodys, No Activity) and the Blue-Tongue Films collective (The Gift, Wish You Were Here, The Square). Nash directs, in his debut as a TV series director. Jason Burrows said “As expected, Nash has taken some really strong scripts and lifted them to another level with some beautifully understated performances. It’s a violent world but it’s punctuated with plenty of brilliant crafted comedic moments”. “Nash Edgerton and Scott Ryan are bringing to life the chills and charm that defines Ray Shoesmith as Mr Inbetween; supported by the colourful array of characters who inhabit Ray’s compelling world. It’s a perfect edgy fit for the FX brand and we’re thrilled to be bringing this truly original Aussie drama to the FX fans on Foxtel,” said Jacqui Feeney ANZ MD of Fox Networks Group. Mr Inbetween is a Jungle and Blue-Tongue Films production for FX Australia, with funding support from Screen Australia and Create NSW. It will premiere on FX in early 2018.